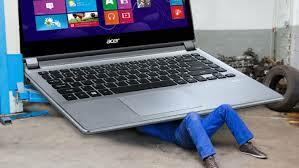 We provide computer repair and technology solutions at our walk in location, located at 394 West Main St. Hendersonville Tennessee as well as businesses in the Hendersonville, Gallatin, Goodlettsville and Middle Tennessee area. At Computer Technologies and More, it is our mission to design and develop technology solutions while proactively managing all technology sales and services for small businesses and SOHO home offices. We strongly believe that the Client relationship does not end after installation. We help our Client’s maintain their technology investments by offering many options for Computer service and support. We know that information is one’s most important asset and excels in helping one deliver this information where and when it is needed. We assist our Client’s in defining the most economical means of Computer service and support for their business, whether it’s by phone, on site, or remotely managed. 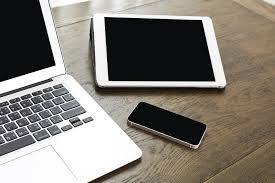 Please contact us today so we can assist you in making sure your small business or home office has the correct technologies needed in order to help your business succeed. Tag: Computer sales, computer repair, repair of computer systems and service offering solutions in Repair.Hendersonville Computer service and repair. Middle Tennessee Computer repair, Gallatin Computer upgrade and Networking MAC Upgrade, Mac repair, Mac service and repair, Computer repair, Computer upgrade and repair. .
Tag: www.computertechnologiesandmore.com, Mobile Computer repair, computer repair Hendersonville Onsite computer repair, Hendersonville Computer Repair, Nashville Computer Services and repair, Onsite Computer repair, 24 hour onsite computer repair,PC repair, Computer Tuneups, Remote office technologies, Computer repair, Laptop repair,Mac desktops, Imac laptops, Apple computers, Linux OS, OSX Mac and IMAC, Mobile office technology,Printer repair, Hendersonville Tennessee Computer Repair,Virus removal, Spyware removal, Computer upgrades,Website development, Website SEO, Nashville Computer Repair,Search Engine Optimization, Web Marketing.